SINGAPORE, 25 JULY 2018 – Get your mobile devices out as you can now get MTV and Comedy Central at your fingertips! Viacom International Media Networks (VIMN), a division of Viacom Inc. (NASDAQ: VIA, VIAB), today announced the debut of MTV Play and Comedy Central Play mobile apps in Singapore through Singtel’s CAST OTT video portal app that combines live TV, video streaming apps and on-demand entertainment. This marks the first time both mobile apps are made available in Asia. Both mobile apps are available for free download as “MTV Play” and “Comedy Central Play” from the Apple App Store, Google Play and can be accessed via the “Variety Plus Pack” of Singtel’s CAST, offering Singtel customers access to the best of MTV’s music, entertainment, reality and short-form content and an array of comedic entertainment including stand-up, talk shows, scripted and short-form content on Comedy Central. While both MTV Play and Comedy Central Play are available with a selection of free content upfront upon download, access to premium content for both apps requires a subscription to “Variety Plus Pack” on Singtel’s CAST starting from $12.90 a month (with a 12-month contract) or $14.90 per month (without a contract). “We want to continue to bring our brands and content to where our fans are, especially as the youth audience is consuming more video on the move and across different screens. Today’s launch of the MTV Play and Comedy Central Play apps, in addition to the Nickelodeon Play* app already available on Singtel CAST, offer platforms like Singtel’s CAST an opportunity to extend additional value through premium branded content and services targeting young customers,” said Paras Sharma, Senior Vice President and General Manager, Southeast Asia, Viacom International Media Networks. MTV Play and Comedy Central Play are part of Viacom Play Plex, a suite of mobile apps for Viacom’s core international brands, giving audiences video-on-demand (VOD) access to content library and content exclusive on a market-by-market basis. · Play the Music – Free access to the MTV curated music experience – From MTV World Stage events and MTV Unplugged features around the world to charts and playlists including MTV Hits, Now Streaming, Trendspotting and more. 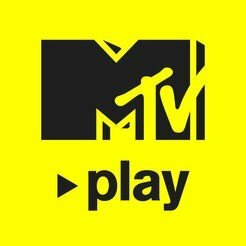 · MTV Play Firsts – Content to be showcased first on MTV Play before any other platforms in Singapore, including The Challenge: Vendettas, Million Dollar Baby1 and Just Tattoo of Us Season 22. · MTV Shorts – Free access to MTV’s wide-ranging short-form content like MTV Meets, Asia Spotlight and Ok Danceoke. · MTV Signatures – The best of MTV’s library including shows like Catfish, Ridiculousness, Punk’d, Idol Battle Cook and Amazingness. · Comedy Central Play Express – Coming to you free and express from the U.S. is The Daily Show with Trevor Noah. 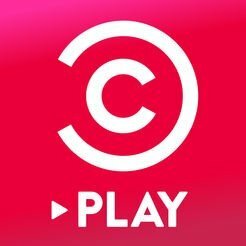 · Comedy Central Play Firsts – Comedy Central Stand-Up, Asia! Season 31, Just For Laughs Comedy Specials1. · Comedy Central Exclusives – Content from The Jim Jefferies Show, Comedy Central Stand-Up Presents, The Review, Moonbeam City. · Comedy Central Play Shorts – Free access to Comedy Central’s bite-sized laughs – Bad Snappers, Josh Investigates, and Comedians Solve World Problems and more. · Comedy Central Play Collection – A library full of funnies including Comedy Central Roasts, Key & Peele, The President Show, The Comedy Jam and more. Last year, Apple named the MTV Play product to its Best Developers category on its App Store Best of 2017 list in the U.S. MTV Play, which is already available in 26 international markets, has been installed nearly 10 million times and has served more than 325 million MTV content streams. 1 Programming availability in August. 2 Programming availability in September. * The Emmy award-winning Nickelodeon Play app has been available for free download from the app stores since August 2016 and can be accessed via the “Kids Pack” and “Variety Plus Pack” in Singtel’s CAST. The full list of apps available via Viacom Play Plex include Comedy Central Play, MTV Play, Nickelodeon Play, Nick Jr. Play, Paramount Channel Play, Spike Play and BET Play.